Should the “wrong” approached be replaced by a path more closely following the one Toyota has taken? The “Training Within Industry” modeled approach to developing people and Toyota’s hyper cost-focused management style may not bring results quickly enough to satisfy Wall Street or win out in a competitive market. I say this because we are talking here about changing people, rather than changing things. It’s the right way to do it, but it appears to take much longer. If a gradual, incremental, enterprise-wide improvement is what is needed, as opposed to dramatic change in a relatively short period of time then this approach may be appropriate. This is like boiling the ocean, and by itself iis not good enough for most of us when competitors are taking shortcuts and improving faster. To paraphrase some of Art Smalley’s other writing, we think that it’s important to build a stable base of operations for the Lean transformation by having a central planning, training and implementation group. Just as you need stable and reliable processes before you can flow, you need this foundation (centralization of Lean) before you can flow Lean out to everyone (decentralization of Lean). For those of us who are on the side of the chasm opposite from Toyota, it’s important to have this ‘centralized’ core team studying the tools and developing expertise, planning the implementation and scouting ahead to make sure the business and the people in it are ready for change. Having a good read of Art Smalley’s article should be on the agenda of this core team, as it shows us the other side of the chasm at the Toyota engine factory in West Virginia. In the case of my friend’s hospital, and many organizations attempting Lean transformation, the problem may be one of management’s hesitation at investing in a central group or “Lean promotion office”. These organizations typically balk later at allocating a percentage point or two of the workforce’s time on continuous improvement. They look into the chasm and go pale. So why aren’t more organizations attempting a Lean transformation aware that there is another side to the chasm? 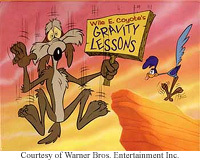 They wonder why they aren’t making progress, when like Wile E. Coyote they have run off of the chasm and are buried in a wall on the other side. There are other reasons for failing to cross the chasm. In some labor markets such as the Pearl River Delta, turnover is so high that most companies would not dare spend the hours on team leader training, only to lose them to a slightly higher paying factory down the street. But keeping our eyes on American manufacturing, starting be developing a core team of experts and placing a large emphasis on the people development approach in preparation for ‘decentralization’ of Lean efforts makes business sense. Some companies attempt to leap across the chasm, or take the decentralized approach from the beginning. Perhaps if you have a “running start” you can leap it. In other words you must have very stable and mature processes, growing demand for your product, solid and professional management and a foundation of trust and investment in people. Adding kaizen and TPS to this mix might rocket you across the chasm. It may have happened, but I have yet to see it. Some fail by centralizing, but not distributing the knowledge. In essence, this means not empowering people. This is a common criticism of six sigma, and other highly bureaucratic continuous improvement efforts. 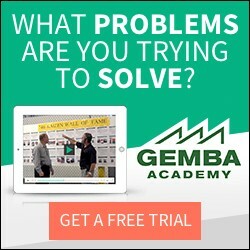 These typically place a great deal of focus on the tools, owned by a small team of experts, away from the gemba. Another typical failure is empowering people but not providing sufficient direction. These companies are buried in improvement suggestions that do not promote flow, streamline the overall value stream, or solve urgent problems leading towards productivity, quality and ultimately profitability. Empowerment fails when it is just another “tool” and not backed up by people development and linked to profit. You can do all of this but still fail by not supporting Lean efforts with a sound long-term business strategy to make sure that the “savings” of productivity, space, etc. are realized as additional contribution margin through additional sales. You might make the leap, but there is not “other side” left when you are ready to land. We know all of this, yet also we know that in the short term the leadership of our largest and most progressive firms will not wake up and suddenly see that their shortest route to success is the long way around, of developing people and robust processes rather than waving the latest banner and implementing the tool du jour. As one executive confided to us, when his senior VP level people do not expected to be in the same position, much less the same firm, for more than 3 years it is difficult for them to think and plan for the long-term development of the people and processes. As Lean managers, change agents, and consultants we are henchmen helping the people who hire us to implement Lean as best as they will allow us. As idealists we would prefer to work only with people who recognize that there is this chasm and who want to go abou Lean transformation in the right way. As practical people, we recognize that our best chance of doing this is to get this message out to as many people as possible, and in the process finding true believers and making converts, even if it means at times participating in inadequately designed Lean efforts in the mean time. This is probably the one greatest source of frustration we hear from fellow Lean practitioners. But there are some encouraging signs. Over the last several months we have received RFPs for worldwide Lean training from several prominent global manufacturers. Invariably these organizations state that they have been working on Lean for several years within one of the divisions, have seen success, and now realize the need to go global. It’s like the CEO woke up one day, connected the dots, and asked “How soon can we get all sites to do this?” These can be some of the best types of implementations, since the small Lean promotion office now has credibility, budget and executive support and can give input on how to “do it right”. Getting there required toiling for years fighting traditional manager and applying Lean tools as best as they could, inappropriately at times. Is it better to do Lean the “wrong” way than not do it at all? I think so. We’re standing on one side of the chasm, and as long as we keep our eyes on it the other side is within reach. Do kaizen any way you can, just don’t stop because you don’t succeed right away. They don’t’ call it continuous improvement for nothing.